You can also read this post on Medium. If the Census projections are accurate, by the year 2040 people of color will make up the majority of the U.S. population. This statistic inspired the name of the organization Code2040, a summer program to help Hispanic and black engineering students succeed and ultimately, become leaders in technology. According to Code2040’s website, jobs in STEM are the fastest growing category of professions in the United States. Yet, fewer than 4% of Black and Latino students pursue degrees in computer science. That gap is significant, it’s problematic and Code2040 aspires to narrow it, one fellow at a time. Increasing the talent pool in STEM fields, especially from underrepresented minorities, doesn’t only require more degrees. Education is just one of the steps in a long pipeline to both success and leadership in a technology profession. Code2040 recognizes that many aspiring individuals who start down the path towards a career in technology may drop out due to lack of preparedness or even because they lack of the right connections. “A lot of African American and Latino students don’t realize Silicon Valley is a place,” Tristan Walker, one of the co-founders of Code2040 told SV411 in an interview last year. “And once they get here, it’s very hard for them to find a way in, to make those connections and get in a room with people who can fund their idea.” That’s where Code2040 steps in. Code2040 provides internships, mentorship, leadership training, and network development for the fellows admitted to its summer program. Since 2012, the organization has selected a group of students studying computer science and engineering to be placed with some of Silicon Valley’s top technology companies. Their interns have worked at LinkedIn, FourSquare, Tumblr, and a handful of tech startups. And through the course of their summer, the fellows attend workshops, meet with mentors, and tour Silicon Valley companies. Ben Harvey was admitted into Code2040’s program for the summer of 2014, Code2040’s third class of fellows. Ben grew up in Baltimore County, and while he didn’t know many people who worked in technology, he did know that he enjoyed working with computers. Tinkering with HTML code and trying out new apps came naturally to him. He attended Towson University in Maryland and began pursuing a major in computer science. When he learned about Code2040, he had a feeling the program would offer an unmatched opportunity to jumpstart his career. For Ben, the summer at Code2040 opened an entirely new realm of job possibilities—even life changes. He interned at a San Francisco edtech startup, Panafold, where he learned what it takes to work in a professional setting, built several Android apps, and ultimately received a job offer from the company. He accepted their offer, extended his stay in the Bay Area and most recently took another offer to work as a mobile developer for Disney. While Ben still has another couple of semesters left to complete his degree back at Towson, he isn’t in a rush to return. He hopes to become a top developer at a big company or a tech entrepreneur himself one day. He’s already built at least one Android app as a side project and is working on another. Getting more minorities into the tech field is a complicated problem, Ben acknowledges, but he thinks if students like himself were at the very least more aware of the kinds of opportunities that would open up to them, more people would be learning to code. 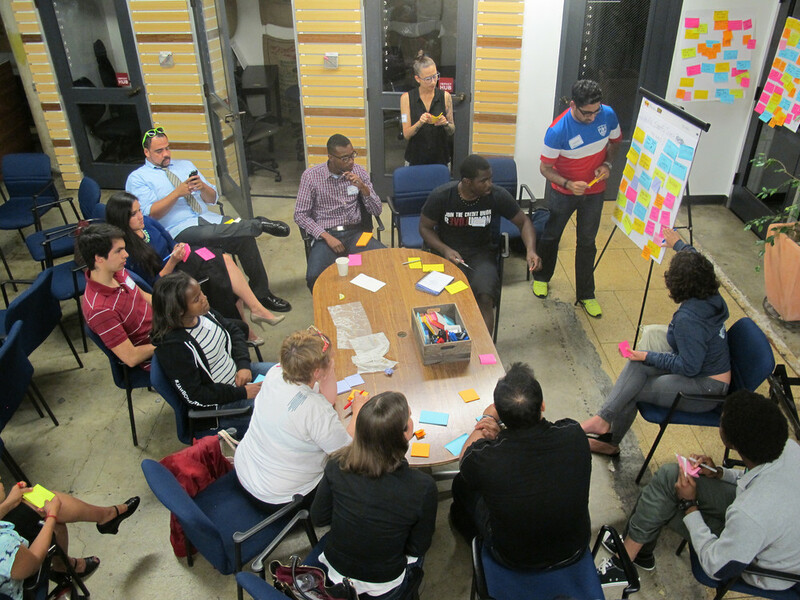 Code2040 just closed applications for their 4th summer of fellows. They plan to accept up to 40 fellows who will intern at around 20 Silicon Valley companies starting in June. By 2040, hopefully those fellows will serve as the mentors and advisors to a new generation of even more diverse programmers and aspiring entrepreneurs.